Inside: Collagen supplements for skin? Here’s what the science is saying. 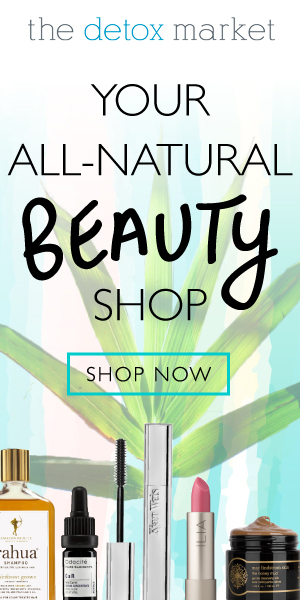 2017 was the year of natural beauty, and toxin-free products, and as you already know, what you put on your skin goes in. 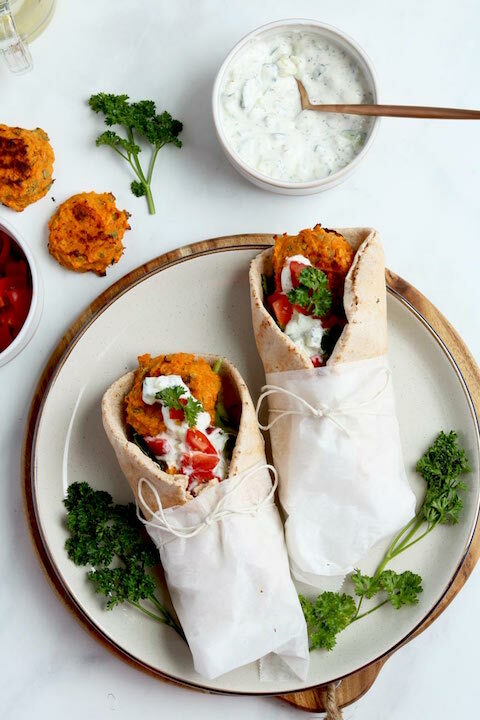 It was also a year that showcased beauty foods; from the Vitamin A & C in sweet potatoes, to healthy anti-inflammatory fats for redness and impurities, all the way to adaptogenic herbs to help manage stress and control hormones. But there was also one superfood trend that not only popped up everywhere in 2017, but is making huge headlines in the beauty industry. From hair, skin & nails gummies to collagen coffee, COLLAGEN is the new hot beauty trend for 2018 that you don’t put on your skin, but instead in your body to help not just with beauty, but overall health and well-being. 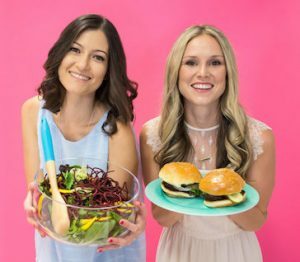 It took us a while to get on this trend (mostly because we hadn’t found a brand that screamed ‘pick me’ to us), but we’re 100% following the collagen craze, and we’re going to tell you why. WHAT IS COLLAGEN & WHERE DOES IT COME FROM? 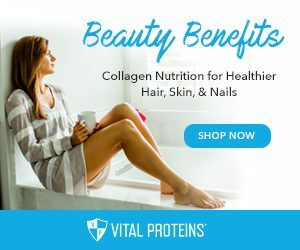 Collagen is essentially the main structural protein that makes up connective tissue outside of the cell and it’s what provides your body’s tissues with strength and shape. Connective tissue is incredibly important for the entire body, but mainly the skin, gut lining, hair, nails, bones, joints, cartilage and tendons. Collagen is something that our body naturally produces on its own. FUN FACT: Collagen is derived from the Greek word kolla meaning ‘glue’ and gennao meaning ‘I produce’ and it’s the good type of glue that plays an important role in holding your body together. At around age 25, our natural rate of collagen production begins to decline. This is one reason why you may start to feel age-related issues such as wrinkles, bone inflexibility and joint problems around the age of 30+. Supplementation and adding collagen into your diet in the form of bone broth is said to help support our natural production of collagen by giving the body those amino acids that are necessary for collagen production. So, yes your body produces its own collagen, but studies have shown that supplementation and consumption of collagen containing or supporting foods can help with numerous health and age related issues. WAIT, BUT WHERE DOES IT COME FROM? You know how we love a good shout out to the healing benefits of bone broth? Well, all those amazing healing benefits come from the bone tissue as it gets boiled down to make the broth- this is collagen in a nutshell. 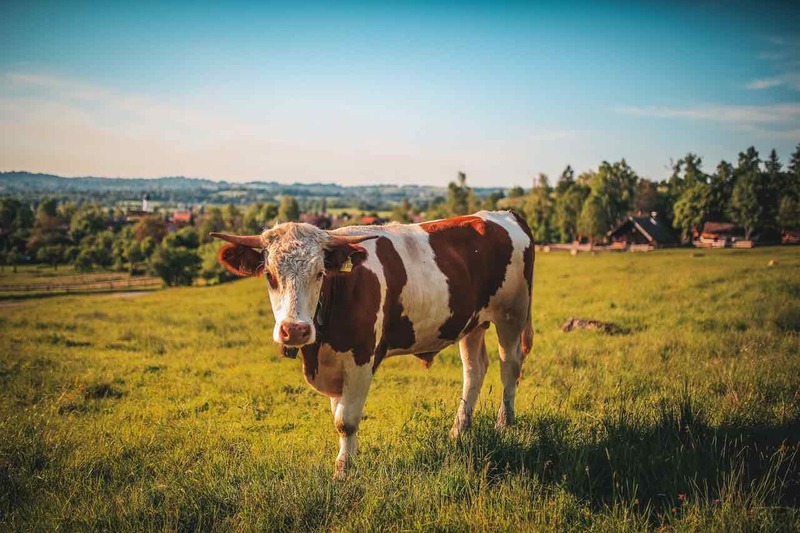 Collagen is usually sourced from cattle or marine animals, that’s why it’s incredibly important to understand where your collagen supplement is coming from, and to opt for grass-fed, pasture raised cattle, or wild-caught marine animals. If you’re a vegan, reading this and wondering how you can keep your collagen in ample supply as you age, you can find plant-based collagen builders from wonderful vegan supplement companies like Garden of Life. This is an amazing product to help with the production of collagen. Not all collagen supplements are created equal. There’s bovine vs. marine collagen, derived from animals’ bone and skin, and around 28 different types of collagen have been identified with types 1 to 3 being the main and most abundant ones in the body. So, understanding what the right type of collagen to add to your diet isn’t always the easiest thing. 1) Bovine vs. Marine collagen The base amino acid structures are the same, so whether you prefer fish over cattle, that’s not something you need to worry about. A note on marine collagen: According to Medline Plus, marine collagen extracted from shellfish, jellyfish and shark cartilage is not recommended and there’s an increased risk in obtaining too much calcium from this type of marine collagen. In addition, it may interact with different types of food and medications. 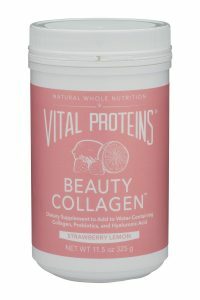 That’s why we only recommend marine collagen from companies like Vital Proteins that is made from wild-caught snapper. 2) Hydrolyzed Collagen basically means that cold enzymes were added to the protein to break it down into smaller peptides, so that are easier to absorb into the body. The best collagen supplements out there will be hydrolyzed. It also makes them easy to add to smoothies, soups and drinks as they do not gel. 3) Gelatin is produced by partial hydrolysis and is created when the collagen is cooked. It has a similar nutritional profile but it gels when it cools so it can be used as a thickening or binding agent in recipes. 4) Type 1, 2 & 3 are found on supplement labels, but usually something to watch out for, as they are often put there as a marketing ploy. There are 28 different types of collagen, but ingesting collagen from any source helps repair all types, so these numbers are irrelevant. There’s so much misinformation when it comes to supplements and the science behind which ones work. You can download the Complete Supplement Guide below that outlines the best supplements and brands out there that could be right for your health condition, according to science. Vitamin C rich foods in red peppers, broccoli and citrus fruits. Anthocyanins found in berries blueberries, blackberries, raspberries, cherries and eggplant. Vitamin A rich foods from animal and plant-based sources. Proline rich foods such as eggs, mushrooms and asparagus. 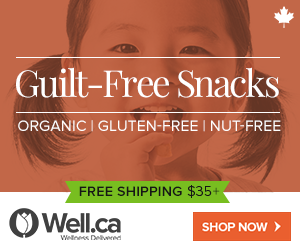 A diet rich in fruits, veggies and whole foods and low in highly processed and packaged foods. A diet high in sugar. Smoking & excessive alcohol consumption. Aging- while we can’t stop it, we can decrease the speed by which it happens and support it with diet and supplementation. There was a study done in 2008 from Penn State University that had athletes supplement with hydrolyzed collagen. These athletes ended up experiencing less joint pain during physical exercise, as well as at rest. Other similar studies have focused on the effects of collagen supplementation in those with osteoarthritis. In one randomized control trial 23 women were either given collagen hydrolysate or a placebo to monitor skin elasticity, skin moisture, skin water loss and skin roughness. By the end of the study (and for weeks after) a reported statistically significantly higher skin elasticity level was reported, and the collagen had a positive influence on skin moisture. Another 12-week double-blind, placebo-controlled study supplemented with hydrolyzed collagen, hyaluronic acid, and essential vitamins and minerals showed significant improvement in wrinkle depth as well as noticeable improvement in elasticity and hydration of the skin. Though scientifically unsupported a lot of people report an increase in overall gut function. The theory is that the amino acids glycine and glutamine (found in collagen) support the healing of the G.I. tract lining and promote healthy gut function. 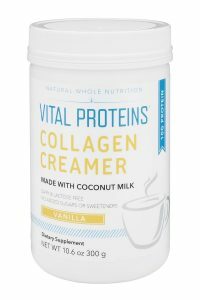 WHAT’S OUR FAVOURITE COLLAGEN SUPPLEMENT OF 2018? This is a no-brainer. We’ve been researching collagen companies for a while now, and with all the research there is one company that stood out to us the most. There are some companies that have grass-fed and pasture raised sourced collagen peptides, but none of them offered up what Vital Proteins offers. This company has really tapped into the collagen market and knows exactly what their client is looking for. A plethora of different collagen blends and flavours? CHECK! BUT…. We saved the best for last. This Beauty Water containing hyaluronic acid and probiotics! What?! They did not… oh yes they did! This is the perfect coffee addition to your morning routine. All you need is 1 scoop and you can pour your coffee right on top of it. Made with coconut milk, it’s a dairy-free alternative, and yet a totally delicious addition to your daily coffee. This also makes a great addition to matcha lattes, turmeric milk, chai lattes, or if you want to be really bold you can use it to cook up a batch of these Stove Top Peanut Butter Chocolate Coconut Cookies. Absolutely loving up this Strawberry Lemon Beauty Water, not only because it makes the most refreshing summer beverage, and a great smoothie addition, but because it contains probiotics and hyaluronic acid. 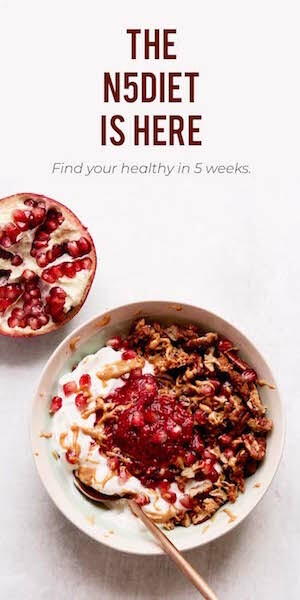 Making it a delicious gut-loving beauty supplement. 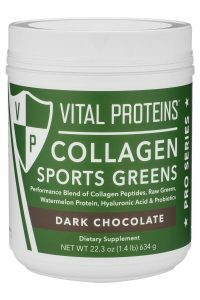 We’re totally crushing on the Collagen Sports Green, because not only does it contain 17 different kinds of fruits and vegetables, but it contains a the protein from watermelon seeds! How many protein powders out there do you know of that has watermelon seed protein? We would say not many, but it’s a pretty amazing protein to consume, as it’s an incredibly high source of plant-based protein, and contains beneficial nutrients like B vitamins, minerals, healthy fats, and several amino acids, such as arginine, which is said to be a heart healthy amino acid. Download our 2018 supplement guide to get more insight into supplementation. Have you jumped on the collagen train yet? Let us know in the comments below.